Two-time Formula One champion Fernando Alonso won the rain-shortened 24 Hours of Daytona, overhauling Felipe Nasr two laps from the eventual finish on Sunday. Already the winner of last year’s 24 Hours of Le Mans, he will attempt to complete the Triple Crown of racing by capturing the Indy 500 in May. Alonso, driving the Wayne Taylor Cadillac DPI, took command when Nasr failed to navigate turn one and drove into deep water, losing a 1.5-second advantage. By the time Nasr had things under control, Alonso was 12 seconds ahead. 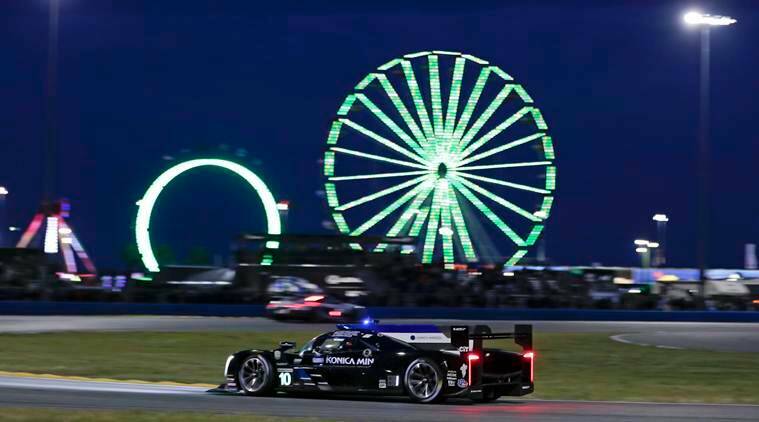 Kamui Kobayashi, Jordan Taylor and Renger vanDer Zande teamed up with Alonso for the victory in his second try in the 24-hour race which was twice red-flagged because of rain and water on the track and was halted 10 minutes early. “With all the rain, I’ve never seen a race like this,” team boss Roger Penske told NBCSN.